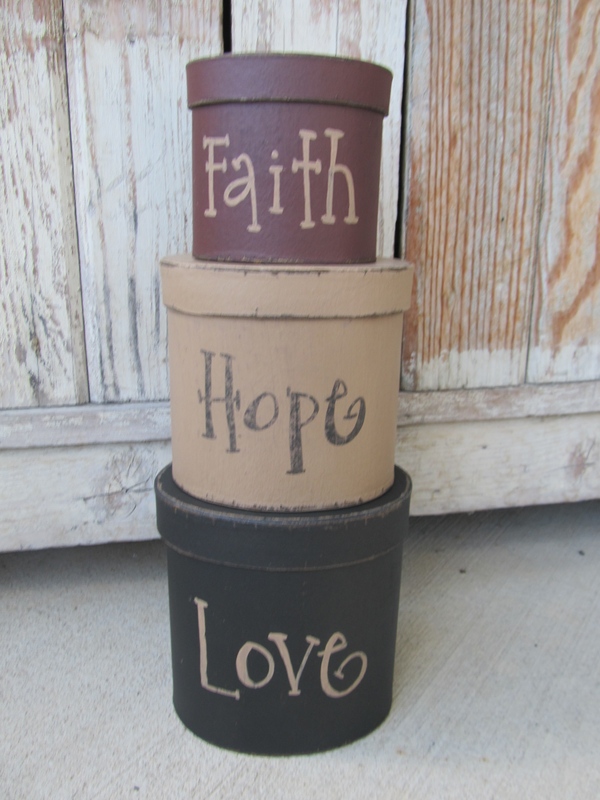 Primitive Hand Painted Faith Hope Love Set of 3 Oval Stacking Boxes. A simple yet perfect set to decorate your home decor with. The colors are distressed black, burgundy and khaki tan. Then hand painted words of Faith Hope and Love. They make a great little set to add to your shelves, cabinets table tops and more. Size stacked up is 12" x 5". Paper mache. Hand painted, designed and signed by Heidi.